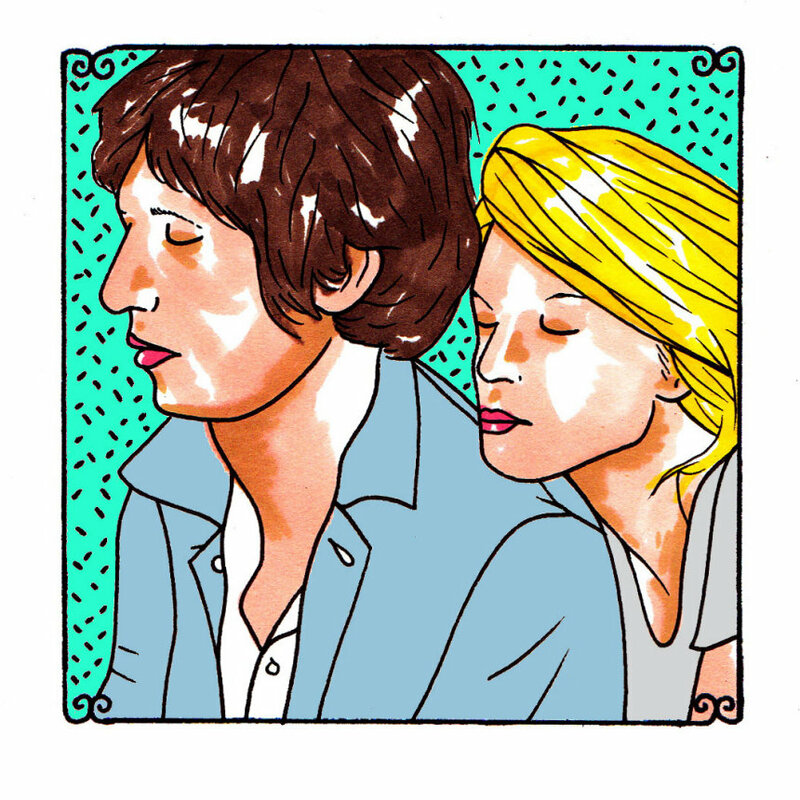 The duets that Adam Green and Binki Shapiro write together are those bastardized odes to pure love. What you learn, as you age, is that there's rarely a pure love that's ever going to come into your life. You're dammed lucky if you ever catch a glimpse of one, much less get it to graze your shoulder or cheek or curl up in a ball, at the end of your bed and stick around for a while, as long as it's comfortable and warm. The versions of love that Green and Shapiro create are those that are imperfect in all of the right ways. They're the loves that you'd be okay to have around. They are still awfully charming in their very quirky ways. The man that Green portrays in this stunning collection - one of our early favorites of the year - is a guy who's trying a bit harder than he might need to. He's the "Casanova to the mentally ill." He's the guy who's had more failures than he knows what to do with. He tends to be a stalker sometimes. He's not afraid of putting it all out there and letting his eccentricities get the better of him - do the job for him. The woman that Shapiro portrays in these songs - these compositions made from the feelings of the hills of California, of Los Angeles, more precisely - is a woman who has been dogged by these needy and regrettable gents for far too long. She's exasperated and yet still sold on the idea of good love, of the one that she'll be happy with. She's determined to find that person who is going to make all of the other crashes and burns worth it. She's that beauty and she's dealing with a bunch of beasts - one of which might still wind up to be the best beast for her, the one that's going to ultimately make her happy, despite her reservations. These are gorgeous meditations about all of the mixed up relationships that everyone has to go through to get to the one that finally matters, the one that comes with that pot of gold that's been thus far elusive. They sing about hope and lowered expectations, even while hoping that they won't have to lower any of them. They've been in the wrong places for love too many times to count and they believe that everything's going to change soon.